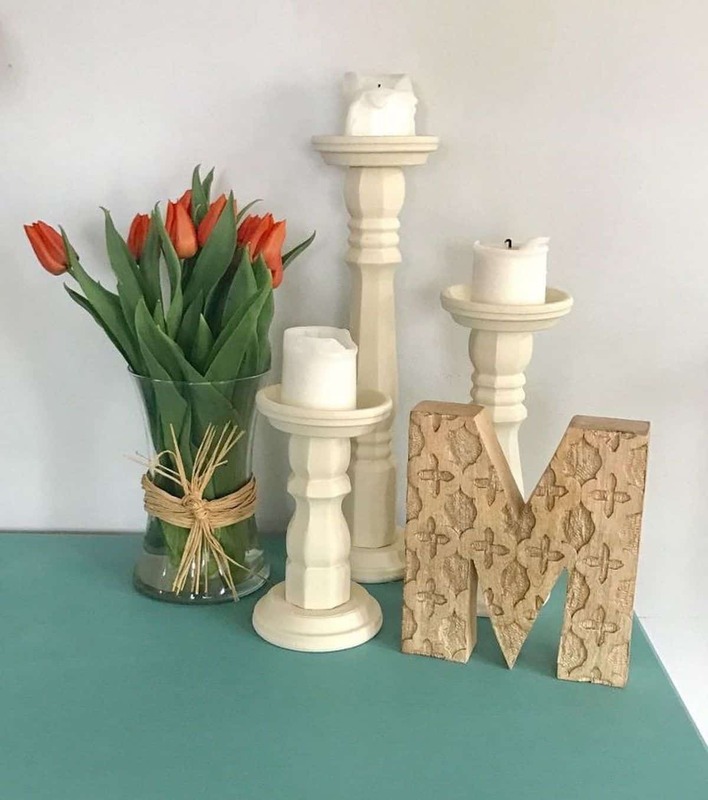 Decorative candle holders can be a unique accent to the room. Also, it can be a center of interest in your interior design. 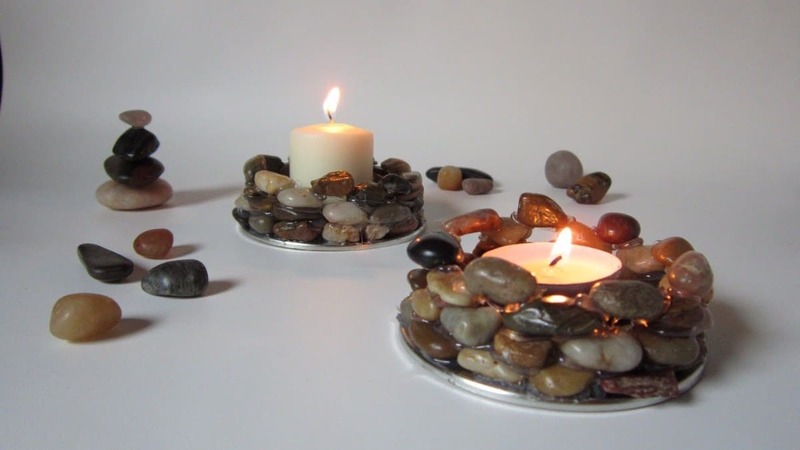 Aside from having an artistic display, a candle holder is very easy to make. 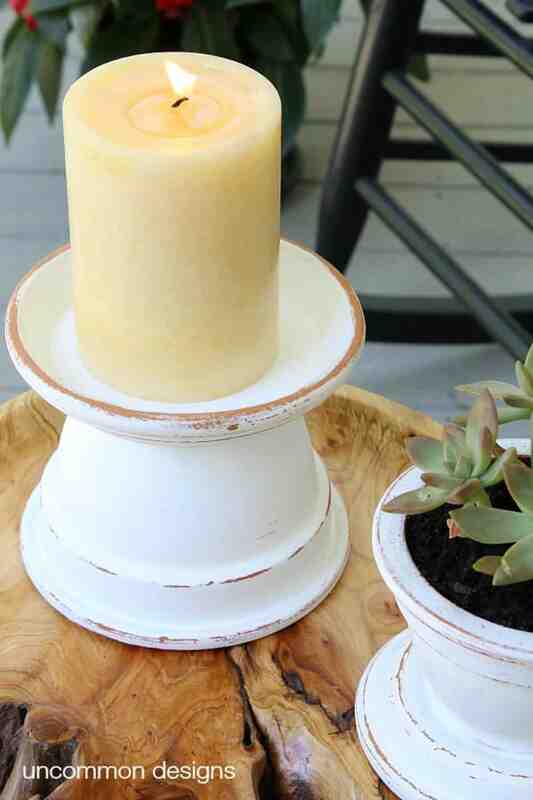 So, check out these inspiring DIY candle holders ideas. Find attractive designs that match the interior of your home. 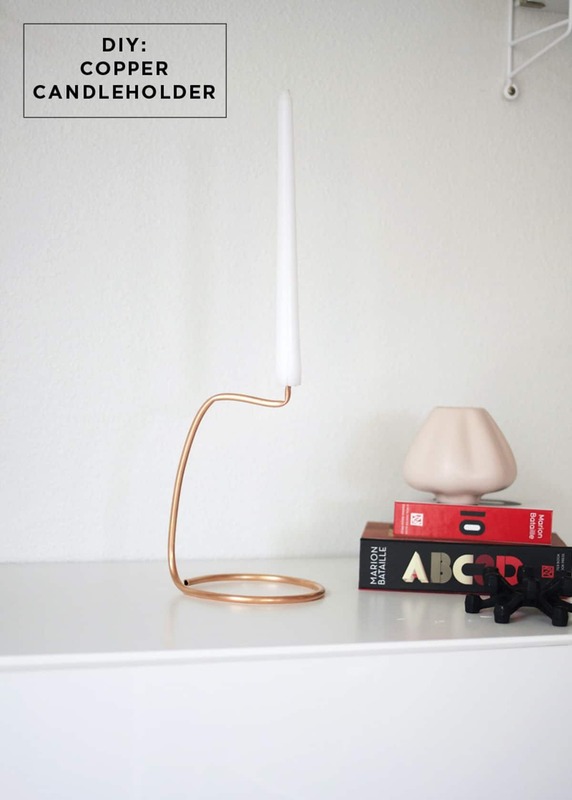 It is one of the unique candle holders that have a simple yet elegant look. You can make this candle holder less than 15 minutes. It only takes 3 steps. Use a white patio paint to coat the outside of the terra cotta pot and saucer. Then sandpaper the edges of saucer and pot to give a rustic look. Lastly, paste the bottom of saucer and pot with e6000 adhesive. This candle holder is made from the table leg. Then, the top and bottom are attached by terra cotta saucer. For a clean look, it has been painted in pale white. Simple but dramatic. Besides, these DIY candle holders consist of 3 items with different height. Need a unique container to put your votive candle? 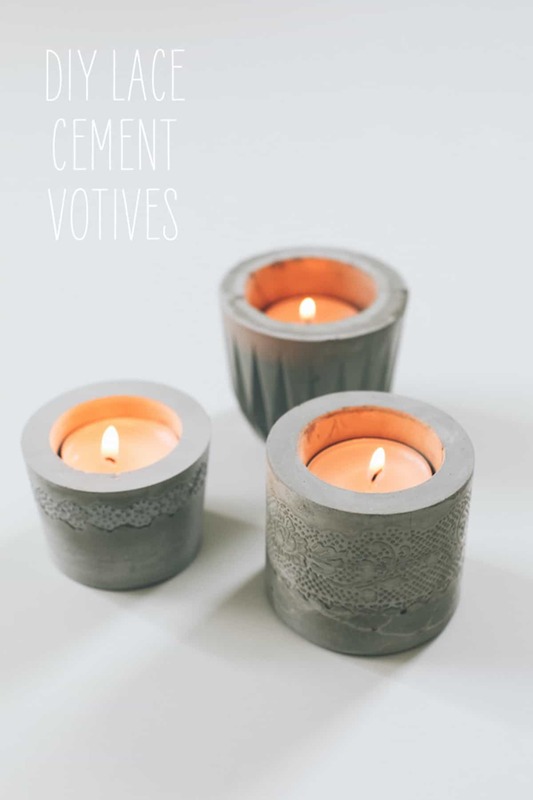 This cement-made candle holder can be a fast and inexpensive option to decorate your room. 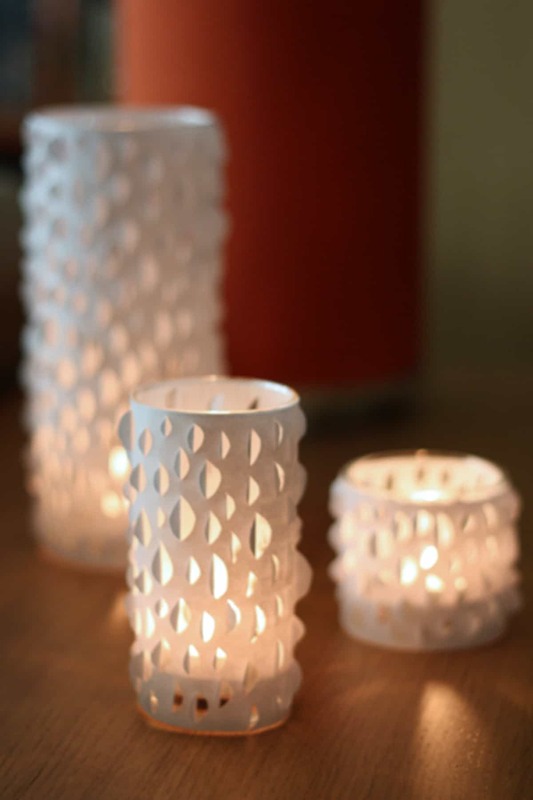 Add lace to give a pattern on the edge of the candle holder. Although it seems simple, drying concrete is quite tricky. So, be careful when removing the mold. There are thousands of unique creations that can be created from a mason jar. So, it is one of the DIY candle holders that you should try. You only need to stick the original/fake leaves to the bottle with Mod Podge, all-in-one glue or finish for decoupage craft. Dry it and trim the ribbon for an aesthetic look. All done in just minutes! 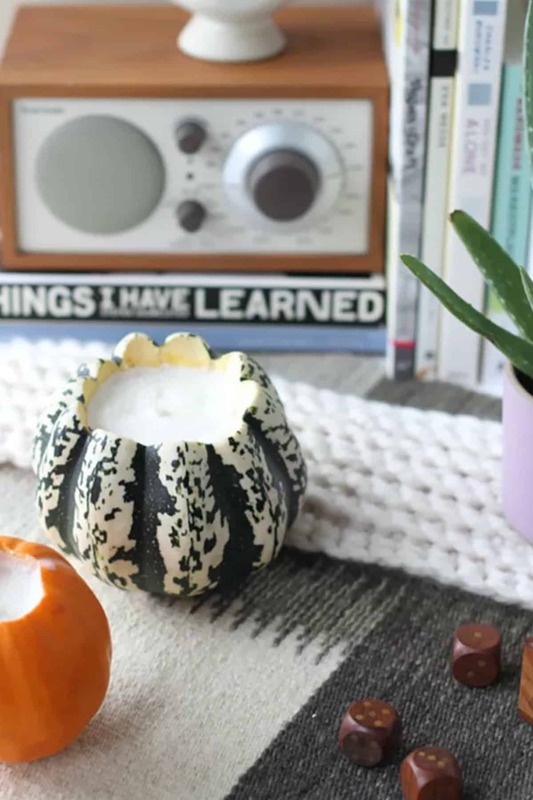 These cute DIY candle holders are, fast, cheap, and super easy. 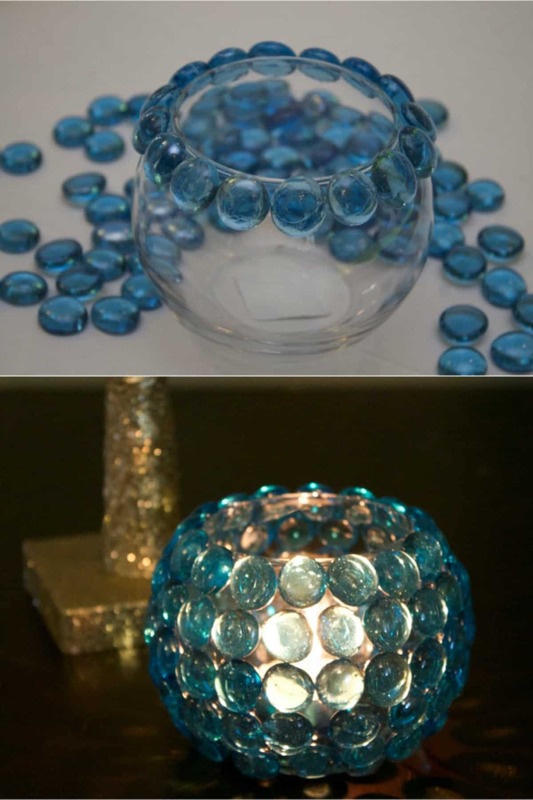 Use a hot glue gun to attach the glass bead to the small glass container. Do it until all parts are covered. You can put this candle decoration in the bedroom or living room. Then, to boost a soothing ambience, put the scented prayer candles in it. 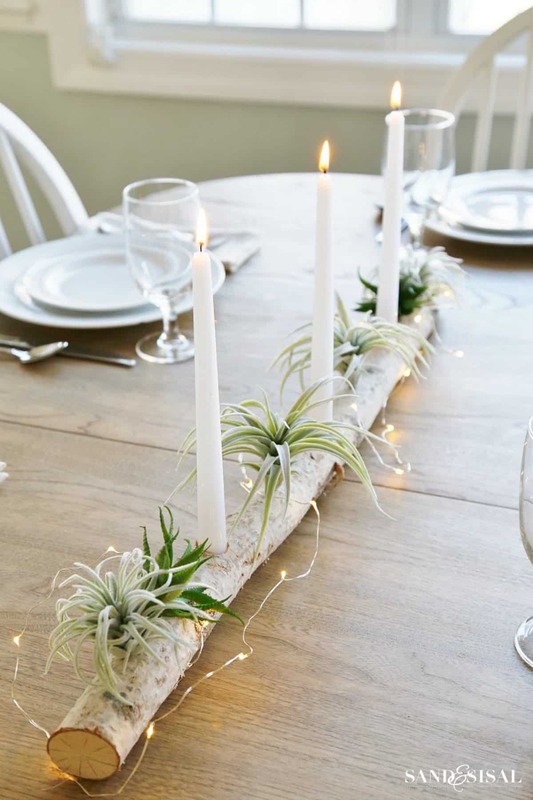 Want to add something earthy to your home? 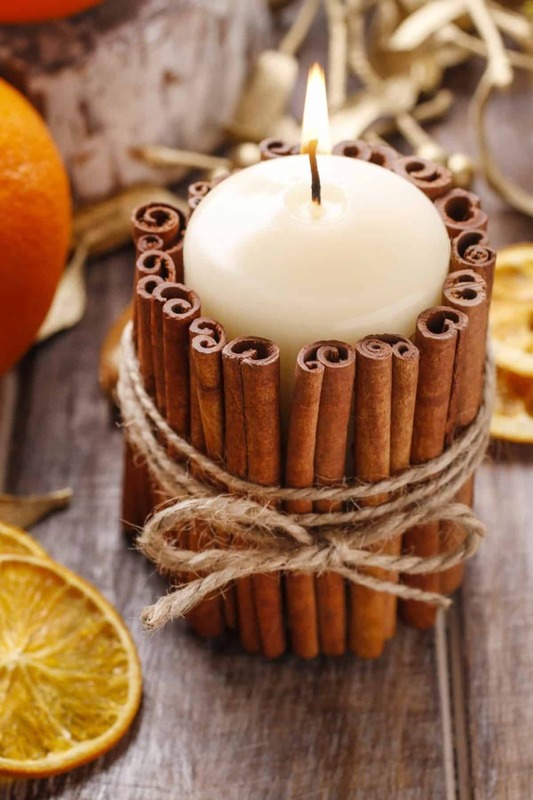 A simple-to-make cinnamon candle holder can be your inspiration. Arrange the cinnamon sticks around the candle and tie them with twine. Put it in your hangout area at home to bring a cozy impression. These futuristic DIY candle holders will refresh your home. It’s super easy, cheap, and eye-catching. You only need a copper coil, which is shaped according to your taste. The decoration also has a strong futuristic impression that makes your room more alive. Feel free to experiment with everything. 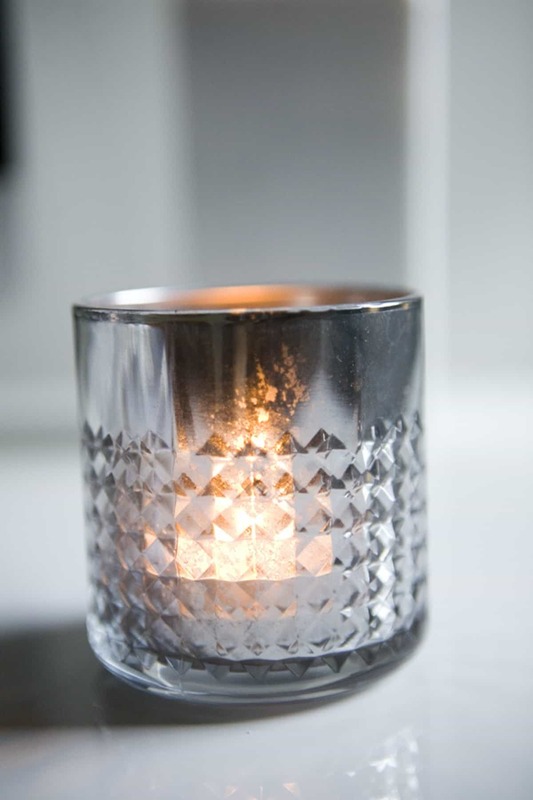 You can make a candle holder, for example, from a glass container wrapped by paper. For a chic look, cut the paper with a certain pattern to give it texture. Then, glue the paper to the glass container with double-sided tape. Something colorful looks more alive. Don’t be afraid to mess up and explore with lots of colors. 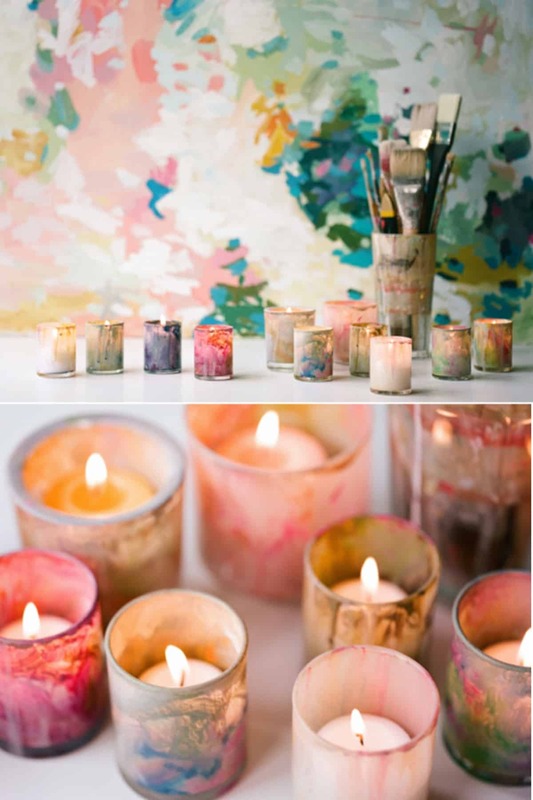 Let’s paint the candle holder with your favorite colors. Also, this cheerful candle holder is perfect for events like a wedding or garden party. 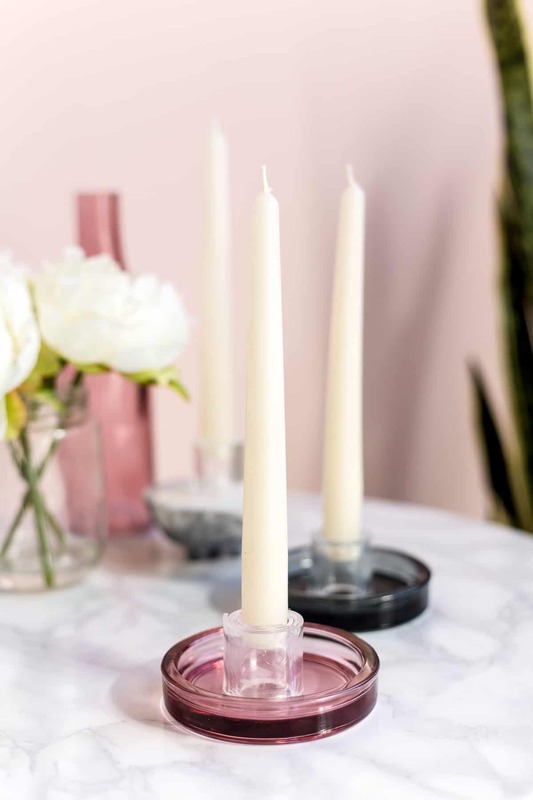 These DIY candle holders require Perspex and glass trays. Cut Perspex with a retractable knife. Warm it with a heat gun and roll Perspex slowly. Please use a heatproof glove to protect your hands! Then place the rolled Perspex on the glass trays. Like working with hands? 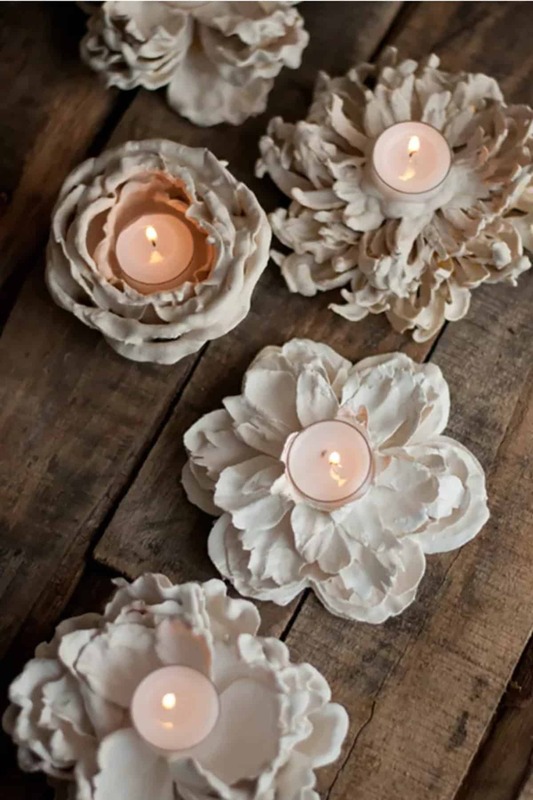 If yes, these DIY candle holders are perfect for you. Just connect the copper fittings with wood dowels. If you think the structure is weak, add e6000 glue to the joint. For a glistening look, polish the copper fittings. Have a dinner plan with the loved one? 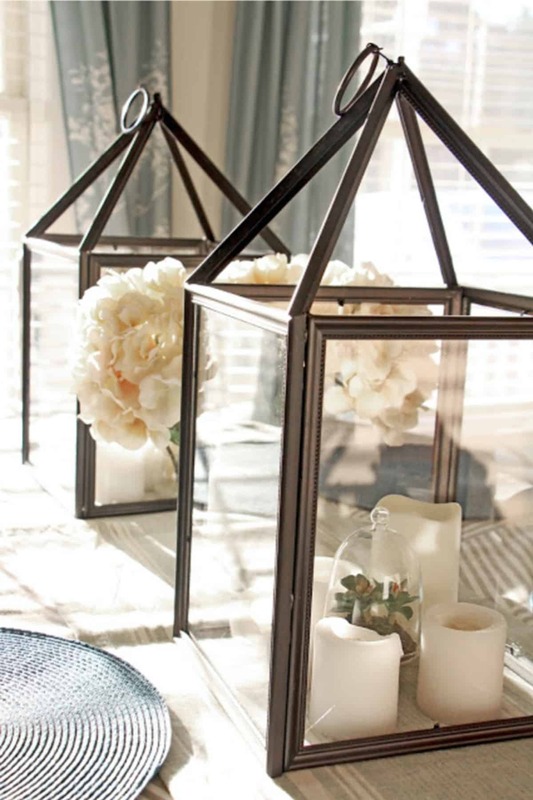 Then, accentuate your dining table with something simple but romantic. Take a birch log in your yard, and make a few holes on it. Put the stick candles and faux plants into the hole. For the final touch, use the fairy lights to bring a romantic mood. Plaster is often used as craft material because it’s easily applied to anything. 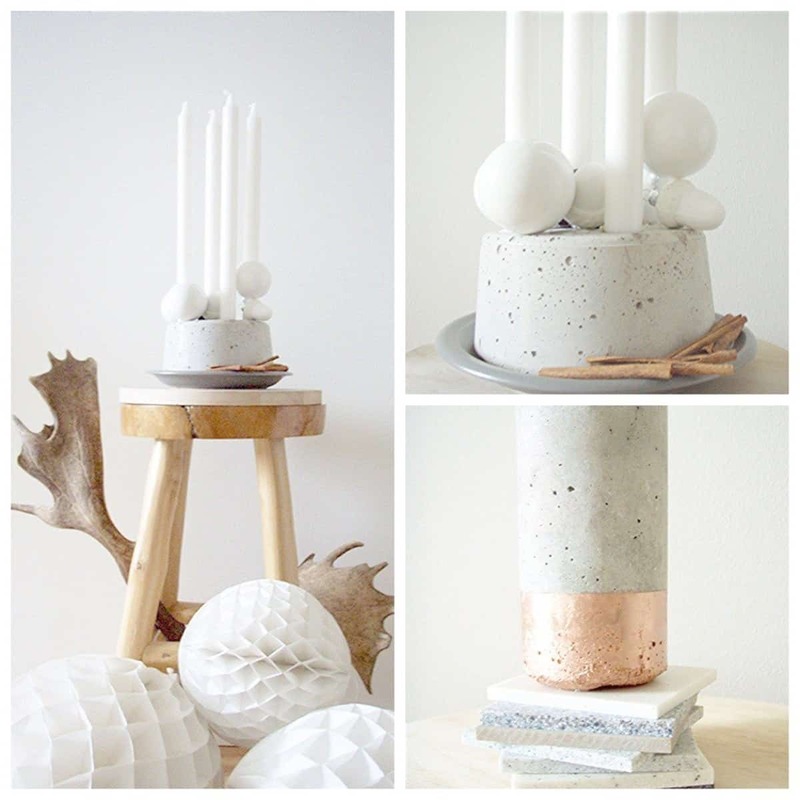 The plaster-dipped votive is also a great idea to make surreal look decorations. You only need to dip the faux flower into the plaster. Let it stand for a moment and form it as you want. 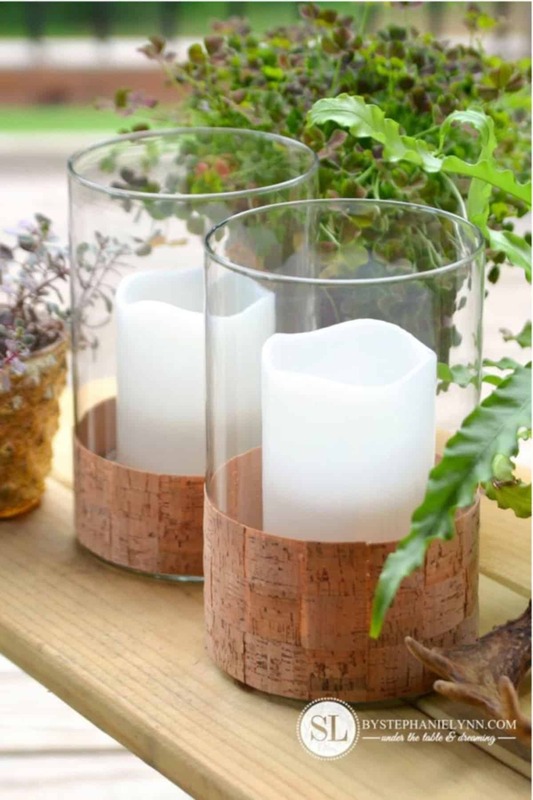 These DIY candle holders have the main components: cork ribbon and glass hurricane. First, wrap the glass bottom with wave-pattern-arranged cork ribbons. Then place the pillar candles in the middle of the glass. At last, put crushed shells in the empty gap between the candle and the glass. Done! This graceful candle holder is enticing. Sure, it will give a different color to your home. To make this chic craft, attach 4 photo frames. Use gorilla glue for stronger sticking results. Then, to give an iconic detail, place the curtain ring at the very top. Now, they’re ready to touch up your dining table. Creativity does not have a limit. Because of that, the mini pumpkin candle is worth to try. Chuck the inside of the pumpkin and fill it with melted wax flakes. Add your favorite scent into this and let the candle harden. With this unique candle, let’s welcome fall with joy. 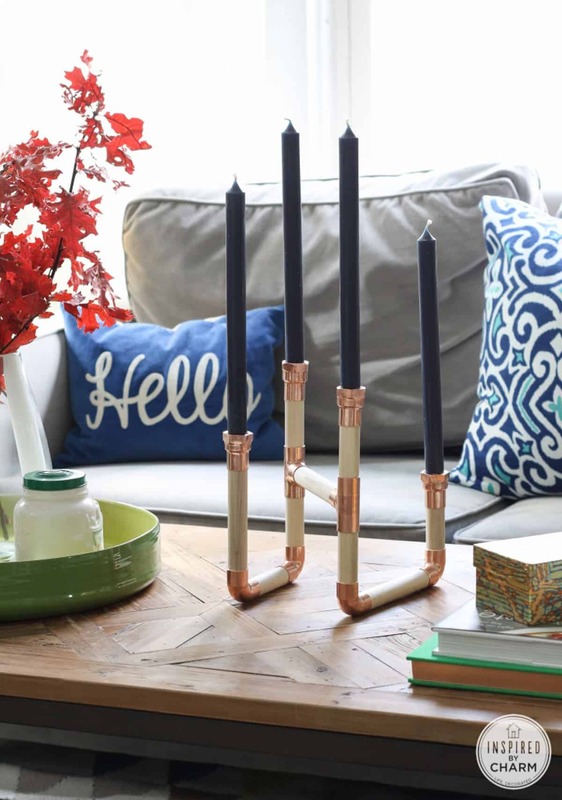 These DIY candle holders will make your living room more cheerful. Prepare some lumber and punch its middle as a place for a tea candle. 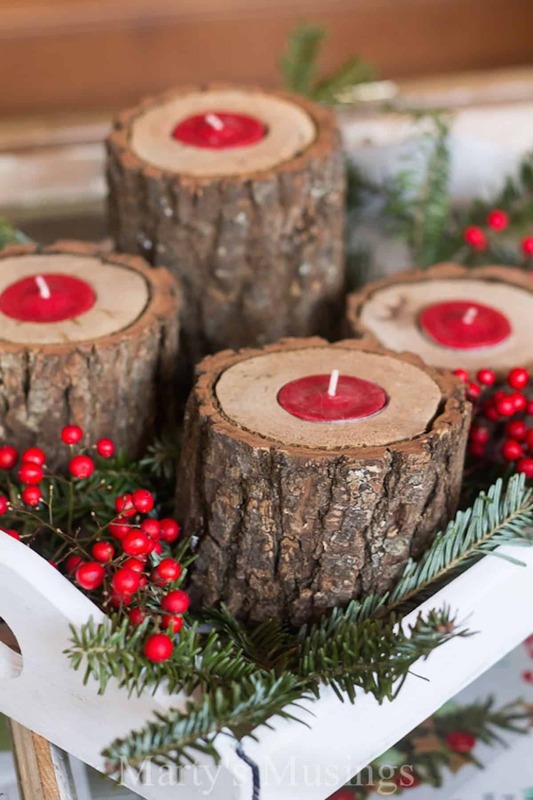 Arrange the lumber over the white tray, and then decorate it with evergreens and red berries. This budget-friendly candle holder can be a good accent for a home. You can create various forms of concrete. Then polish it with your favored color. You can also add some details to embellish it. This handmade Christmas gift is too lovely to resist. 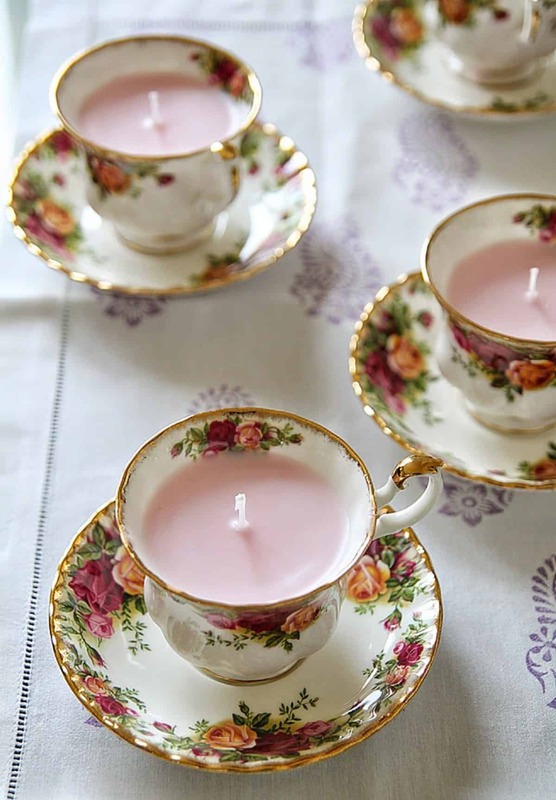 So, first, prepare a set of vintage teacups to do this do-it-yourself project. Pour the soy wax liquid into the cup and let it harden. Before that, mix soy wax with your favorite fragrance oil and a little rose food coloring. It’s very fast and super easy. But, make sure that the coat is not too thick. Also, use a paint spray specifically for glass material. After that, put a tea light in it. Finish! From the several DIY candle holders above, which ones inspire you?